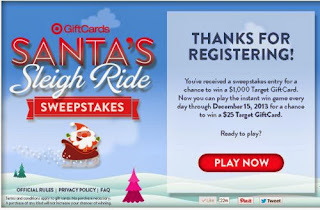 Is today your lucky day? 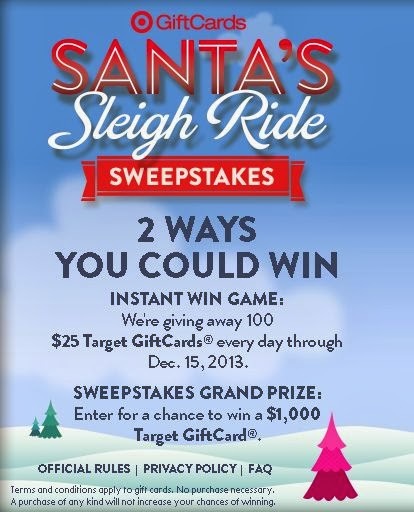 Play Santa’s Sleigh Ride every day for a chance at a $25 Target GiftCard, plus enter the sweepstakes for a chance at the grand prize—a $1000 Target GiftCard! 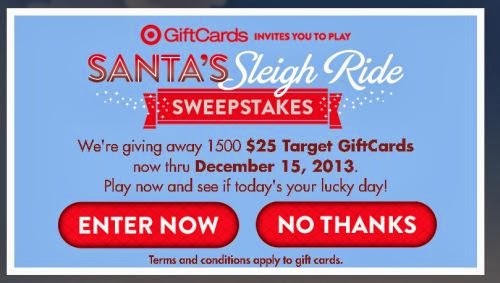 Click the link below to go to the Target Facebook page. "Like" Target on Facebook & click enter to win it will ask you to log in with Facebook. 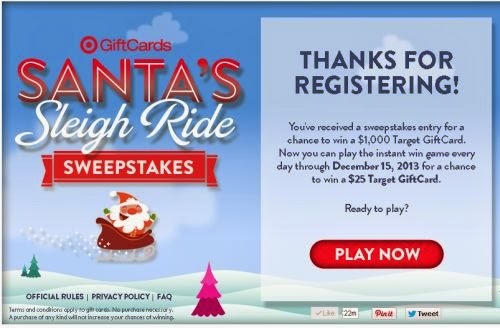 (I clicked skip on this part.) 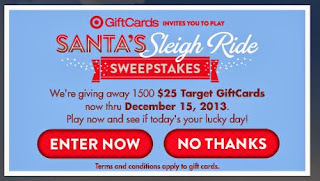 Just click enter to win to get to the Santa's Sleigh Ride to win a $25.00 Target GiftCard & fill in your information to be entered in to the sweepstakes win $1000 Target GiftCard.